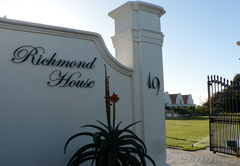 Richmond House Cottages is a highly recommended B&B with self catering option, providing accommodation in Port Alfred for tourists visiting the Sunshine Coast region. 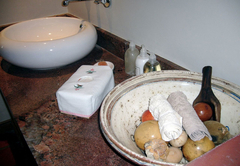 Upmarket self-catering accommodation for discerning guests seeking privacy and comfort (breakfasts negotiable). 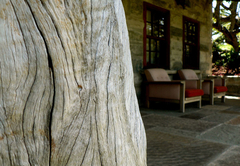 It is also an ideal getaway for a private executive retreat, think-tank or mini conference. 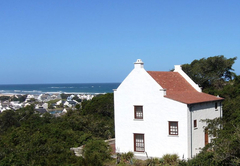 Port Alfred is located on the Eastern Cape’s magnificent Sunshine Coast, between East London and Port Elizabeth. 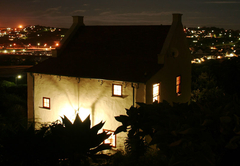 Our three charming cottages are comfortably furnished, generously equipped and serviced. 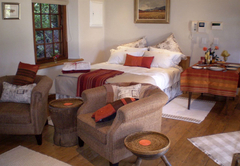 Each has its own special décor and ambience, offering a cosy, tranquil and historically interesting stay. 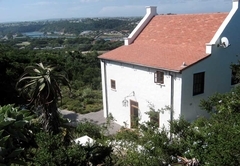 Enjoy birdsong, shady ancient trees, pristine coastal bush - and unmatched views from the garden! 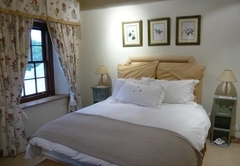 Both Fig Tree Cottage and Ship Ahoy Cottage have two bedrooms each (twin and double beds). Each has one full bathroom (bath and shower) and an outside shower open to trees and stars. Kitchens have automatic dishwashers. Perfect for a couple or small family! 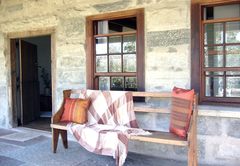 Sandymount Cottage is a bed-sitter with covered verandah, ideal for a single guest or couple. It has a well-designed kitchen and bathroom with shower. 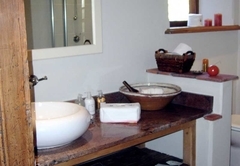 • A full range of services (including laundry) on site, as well as local recreational activities - including both beach and river a short walk away. Beaches, boating, surfing, canoeing, fishing, river cruises, hiking, historic 1820 settler sites, Bathurst village and game lodges nearby. Famous Woody Cape dunes, Diaz Cross and Addo forest in vicinity. New Port Alfred Hospital and Rosehill shopping Mall. Birdwatching, garden strolls, a billiard room, the Museum and Music Room, a Cape country antique shop (including renovated architectural fittings). 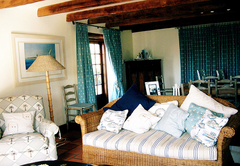 Double storey two bedroom cottage with harbour and sea views from the upstairs bedrooms and full bathroom. A spacious and fully equipped kitchen/dining room/living room area, a large sheltered verandah with outside shower with hot water. Free Wifi voucher/hotspot available. 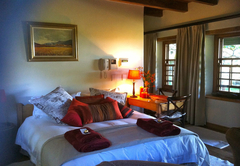 4 star luxury self catering - a tranquil home away from home! 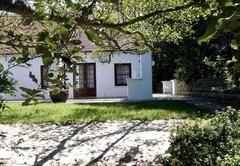 Single storey cottage set amongst large and magnificent fig trees. 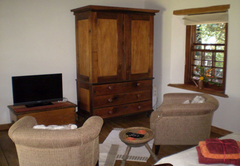 Two bedrooms - double bed, twin beds and full bathroom. 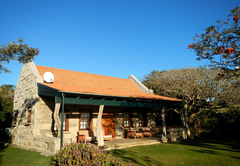 A spacious and fully equipped kitchen/dining room/living room area, a large sheltered verandah with outside shower with hot water. Free wifi. 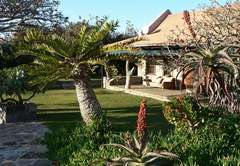 4 star luxury self catering - a tranquil home away from home! 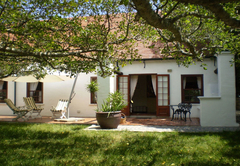 A charming stone bedsitter cottage tucked away in its own part of the 7 acre estate. 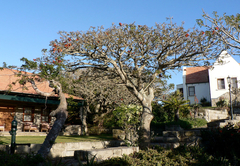 Fully equipped kitchen, queen sized bed, bathroom with shower and a large verandah and private garden. Free wifi. 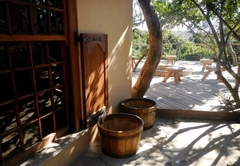 Braai/barbeque facilities, private and tranquil. Thank you for a wonderfully peaceful weekend getaway. Stunning garden with amazing bird life! Definitely 4 star! Thank you so much for an amazing holiday!